Location: /Strings/Ukulele strings/Soprano Ukulele/SOPRANO UKULELE. TUNED G. D. A. E. DESIGNED FOR UKULELE PLAYING MANDOLIN PLAYERS. 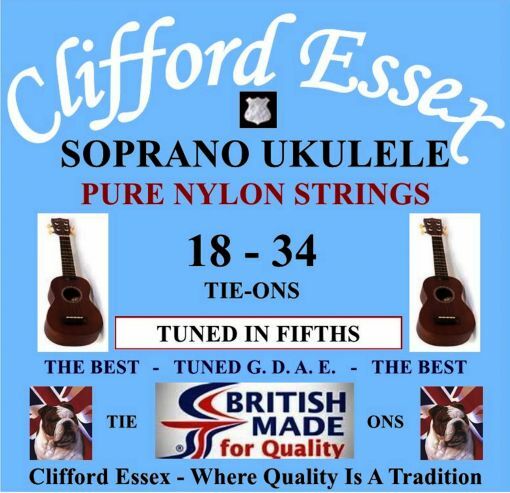 Soprano Ukulele Tuned G. D. A. E.
Postage rates apply for any amount of strings. If you do not require 3 sets check the 'No Thanks' option and enter the quantity you require.